The key role of office property is to support an organisation and its people in the activity of work. The office is not the only place of work and although it is often seen as the hub for many organisations, its role is changing as technology enables and financial strictures demand new ways of working. Many public and private Corporations are now looking to extend agile working across their organisations to help retain key staff, create a more productive workforce and support carbon targets but particularly to make their property assets work harder by re-defining work settings and space requirements – ultimately improving the “bottom line”. As such, assessing how agile working should be accommodated and supported forms a key element in new office building and property consolidation business cases. Although the asset is important, end users and client occupiers are increasingly looking to ensure their property supports people and their work. Indeed, organisations that provide choice and leverage their workspace to meet the changing needs of the workforce will gain competitive advantage. Many people use the term agile working and other related terminology without understanding its true meaning. My article “What is Agile Working ?” is designed to explain the key elements and some of the confusion in its definition. 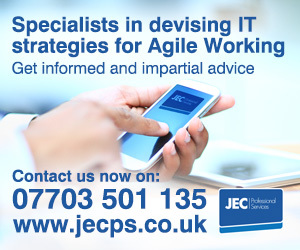 But successful agile working is not something that happens instantly, and it requires considerable time and energy from many sources across the client organisation and its suppliers. Without early insightful engagement with the client to understand Workstyles, the property solution is unlikely to be what the client actually needs. So what does “Workstyling” involve ? It is not about space planning or interior design. It is complementary to and helps inform these design activities, focusing on engagement, information gathering, assessment, understanding and interpretation of current and particularly future business needs of the client organisation. In the initial stages it is about data gathering , then working with clients to envisage and develop workstyle profiles and standards followed by development of the current “situation” overlaid with the future opportunity. Finally identifying the support, culture and investment gaps that need to be filled and the route map for the “agile journey” and benefits realisation. In the last decade development teams were driven by standard BCO or OGC guidance on “agility ratios”, which focused “one size fits all” desk sharing ratios of around 8:10 (desks:people). However, technology and new ways of working have continued to develop, with for example Monmouthshire County Council having achieved a target of 5:10 agility across its office estate, and now pressing for ratios nearer 3:10 – showing the potential opportunity that assessments can reveal or enable. A building or an organisations “agility ratio”is the average across the Organisation, but it is not a “one size fits all” ratio. Some workstyles will be relatively fixed while others more flexible and some remote from the main office base. They will reflect different aspects of office work – from the most autonomous, mobile, interactive and externally focused roles to the more administrative, system-tied, customer-focused or routine roles – and everything in between so anything from 1:1 to 1:10 ratios are possible for individual workstyle profiles. Most organisations breakdown their workstyles into generic “personas” or profiles that follow the location or degree of flexibility in the place of work. Edinburgh City Council has the classic 4 workstyles – “fixed”, “flexible”, “mobile” and “home”. Telefonica consider their people either “huggers” or “hoppers”, Unilever have 3 workstyles -“resident”, “mobile” or “off site”, while AMEX assign employees into 4 categories: “hub”, “club”, “home” or “roam”. The key focus for workstyle assessment is to better inform this agility quotient and enable better understanding of the key space components and work settings as well as related enabling activities such as IT investment, management capability and training, process and culture change requirements. More thought about the Agile Agenda – understanding the organisation, its people and their working requirements at the inception stage will pay significant future dividends. I have undertaken “workstyling” (workstyle profiling) for a number of organisations embarking on office portfolio rationalisation and in each case the project yielded 20% to 30% space savings. However, these workstyle exercises not only yielded significant cost reduction in realigning the overall space and property requirements. They also indicated the need for different worksettings, support mechanisms and protocols as well as IT investment to enable the organisations newly discovered workstyles which lead to the more significant benefits of more productive and effective ways of working. In the current climate property development and office consolidation is only likely to be successful as a close partnership between occupier and developer. Developers and corporate advisers should therefore now be looking to help clients introduce workstyling at the earliest opportunity to deliver better, more focused property solutions to meet the future working of the organisation. Today “the Client Occupier” is not just looking for a cost effective building asset or efficent office. Value driven clients are increasingly focused on the core business investment benefits of workplace solutions and experience which understand and enable a more capable agile and productive workforce. Pingback: Agility Ratio: productive benchmark or property target ?